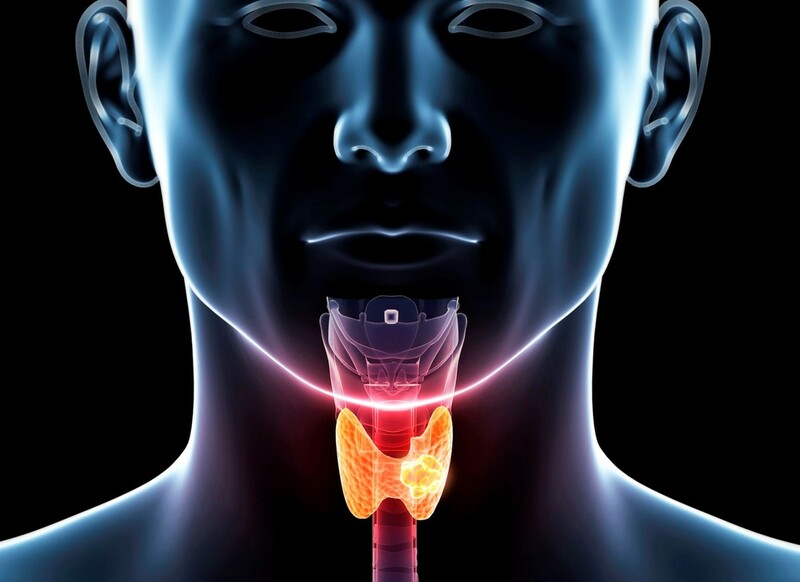 ​Thyroid is a small, butterfly-shaped gland found at the base of the neck, just below the Adam’s apple. This gland secretes several hormones which are collectively known as the thyroid hormones, the most crucial of which is thyroxine or T4. These thyroid hormones play a significant role in controlling your body’s metabolism, such as how fast your heart beats or how fast you can burn calories. These hormones further play an indispensable role in brain development during infancy and childhood. The difference in hormone levels triggers several different disorders and is more common among women than men. It can be anything from a small, nothing-to-worry goiter (enlarged thyroid gland) to the most serious cancer. The most common disorders include hypothyroidism (too little secretion) and hyperthyroidism (too much hormone secretion). Medical history, physical examination and thyroid tests are usually used to diagnose a thyroid disorder and a biopsy is used in very rare cases. Common symptoms include dry skin, weight gain or struggling to lose weight, constipation, memory problems, depression, weakness, muscle pain, decreased heart rate, hair loss, puffy face, hypersensitivity to cold and fatigue. If hypothyroidism remains untreated, the symptoms can become severe and you may become more forgetful and depressed. Your physician would ask you to take a blood test to determine your thyroid stimulating hormone (TSH) and thyroxine levels. Increased TSH levels and decreased thyroxine levels are indicative of an underactive thyroid. Sometimes, you may not have any symptoms as mentioned above, your thyroxine (T4) and triiodothyronine (T3) levels might be in the normal range but your TSH levels would be on the higher side. This is demonstrative of a condition known as subclinical hypothyroidism and there is no clear evidence to provide treatment to every individual affected by this disorder. Depending on your blood test results, you doctor would prescribe synthetic thyroid hormones. In hyperthyroidism, the thyroid gland produces excess thyroxine accelerating the body’s metabolism, causing excess weight loss, rapid or irregular heartbeat, sweating, nervousness and irritability. The most common cause for this disorder is Graves’ disease, a problem with the immune system. Other common causes include thyroid nodules, thyroiditis and increased iodine intake. Common symptoms of hyperthyroidism include sudden weight loss, sweating, rapid heartbeat, difficulty sleeping, brittle hair, skin thinning, menstrual changes, fatigue, sensitivity to heat and tremors. Initially, the person affected with hyperthyroidism might feel energetic as the metabolic rates increase. But, this becomes tiredness and fatigue over time. The case is reversed over here. A blood test that shows low TSH levels and high thyroxine levels indicates an overactive thyroid gland. Physicians prescribe medicines, radioiodine or surgery to treat hyperthyroidism depending on the patient. Here again, some people are diagnosed with subclinical hyperthyroidism where the thyroid test shows normal T3 and T4 levels with decreased TSH levels. Such people don’t experience any of the above symptoms or might lose weight or feel anxious. It is safe to detect and treat hyperthyroidism at the initial stages, as delayed treatment or detection can lead to complications. Heart and eye problems, osteoporosis and thyrotoxic crisis (sudden amplification of the symptoms) are major complications of this disorder. Hypothyroidism and hyperthyroidism can delay pregnancy and also affect menstruation. You might face irregular periods, heavy periods or you might not get your periods for prolonged durations. Pregnancy delays can happen because disturbed thyroid hormones can disturb the hormones responsible for ovulation. Pregnancy-related hormones elevate thyroid hormone levels (essential for the baby’s brain development in the womb) in the blood. Many women acquire hypothyroidism/hyperthyroidism during their pregnancy period. This disorder may/may not remain post pregnancy. But such women are at an increased risk of thyroid disorders throughout their lifetime. Eat a well-balanced diet with 4 to 5 servings of vegetables, 3 to 4 servings of fruits, ample lean proteins, whole grains and healthy fats. Surprisingly, the nutrient-rich cruciferous vegetable such as cabbages, broccoli, Bok choy, Brussels sprouts, cauliflower and watercress, packed with vitamin C and folate, can attack your thyroid levels. Eating raw form of these veggies can disturb thyroid hormone synthesis and it is better to restrict eating these vegetables as much as possible. Thyroid disorders need disciplined food habits and regular physical activity. It is better to get in touch with a registered dietitian nutritionist at www.firsteatright.com who can plan a healthy diet plan to help you stay on a balanced weight and most importantly, keep your thyroid levels under control.